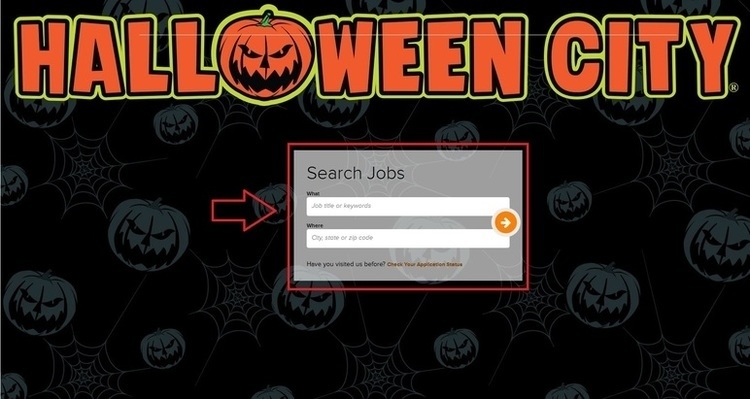 Click “Careers” at the bottom of Halloween City official page, choose the job type you are looking for, and click “APPLY NOW” to the next step. Enter the job title or keywords to specify what job you want to apply for, and type city, state or zip code to refine where you intend to work. Click on the arrow to complete your search. View the search results along with the job description listed on the right of this page, and click the “APPLY” to start your application. 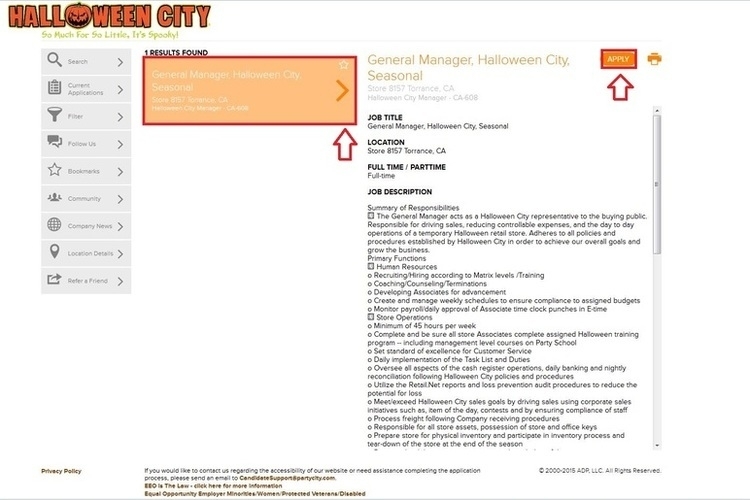 A Halloween City account is required to apply for positions at Halloween City. You need register with a valid email address and set your passwords with a minimum of 8 characters. 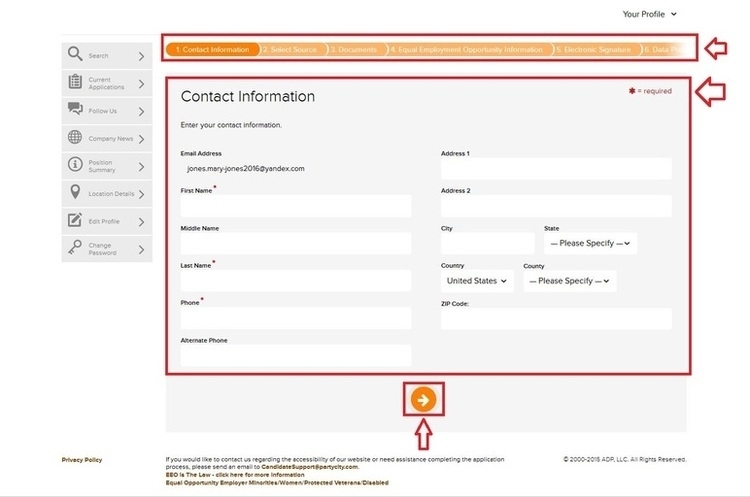 There are six parts included in the application process, you need to fill in your contact information, select source, upload documents, and complete the Equal Employment Opportunity Information, electronic signature, etc. Click on the arrow to move to the next part once you completed. 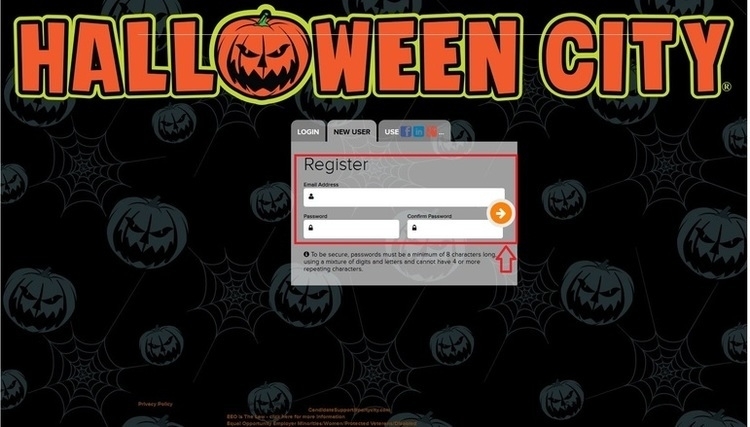 Click halloweencity.com/careers to apply for Halloween City jobs online.